Today we rested because we were so tired from visiting Paris France. We had 5 whirlwind days of visiting as many sites as we could, the weather was rainy and cold but everyone had a great time. The girls loved seeing there French cousins and seeing all the neat stuff we had studied about before we came. The girls didn’t get to say a lot of French words they had learned before they came but we haven’t given up and will keep studying French. We got up late around 10 am Paris time, ate a late lunch and then tried going to the beach. 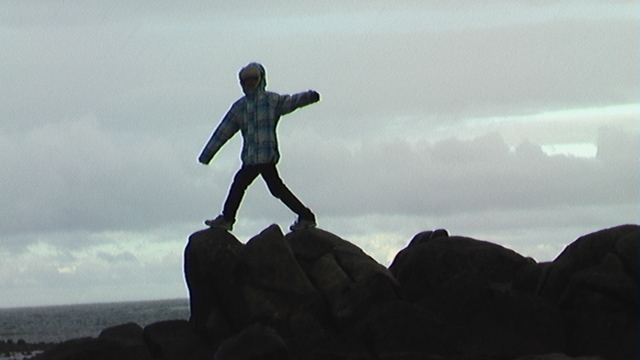 It was pretty cold and windy so, we walked on the beach a bit and then let the kids play Soccer. It was a nice relaxing day!! Day 1 France – On the way see cousins in France! 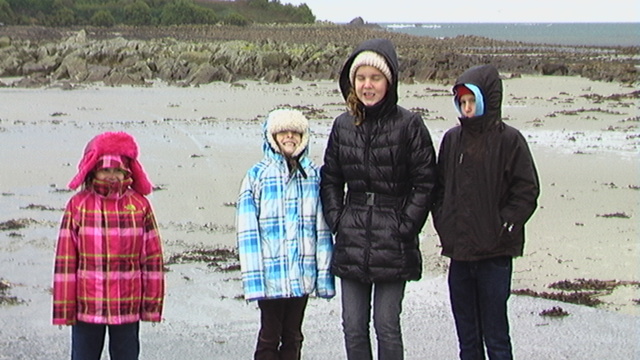 This entry was posted in France, Unschooling and tagged beach, brittany, cold, day 6, Paris, windy by Chrissie. Bookmark the permalink.